I met Deaglan for the first time when he was just under two weeks new. 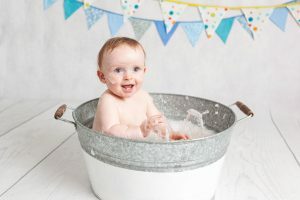 The squishy gorgeous little boy, that I had so much fun to photograph at his newborn session. 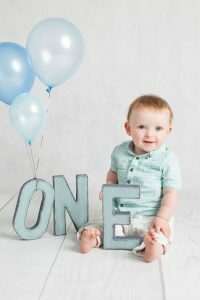 Deaglan’s mammy brought him to the studio on several occasions during his first year to update his baby photos. Today I meet Deaglan and his family on a very special day. 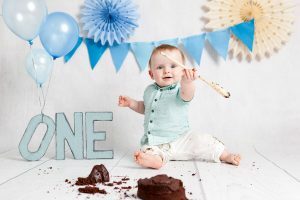 Deaglan turned one. Look at the cute little happy face on him. 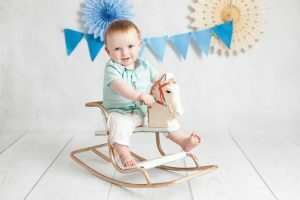 Deaglan loved to be turning one and enjoyed every minute of the fun we created at his photo session. 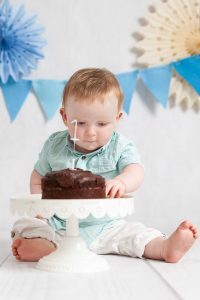 When the cake appeared there was no doubt Deaglan had a great idea of what is going to do. He had a ball munching and playing with his birthday treat. The chocolate crumbs were everywhere! What a great little cake smasher Deaglan proved to be. 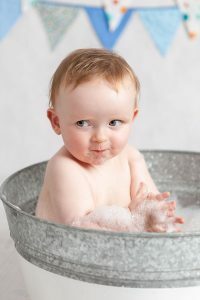 To finish off the great fun we prepared a quick bubble bath for the birthday boy. That proved to be yet another favorite thing to do with our little one-year-old munchkin. 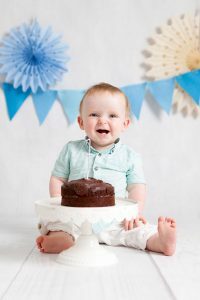 If you like Deaglan’s story and would like to get more info about the cake smash photo session please get in touch via email or call me directly at 087 413 99 60. 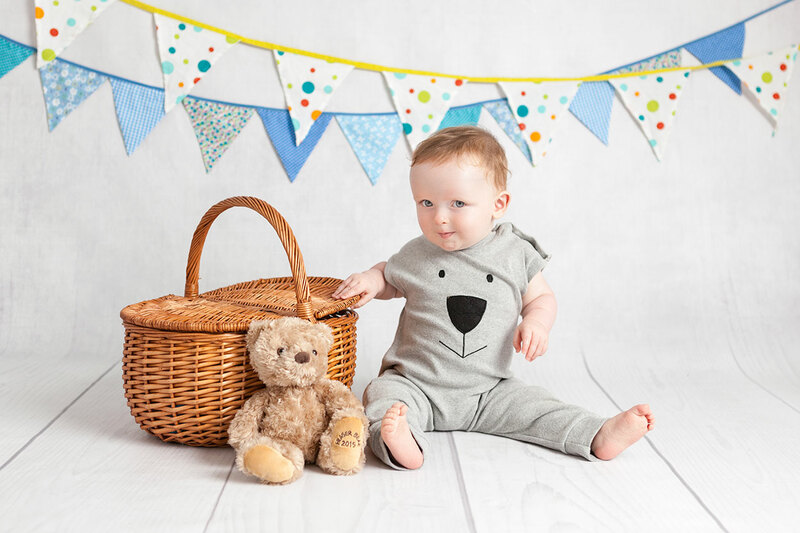 I would love to welcome you to our Dublin photo studio to create the very special art for your own family, Joanna.